it makes me laugh every time I see it. JENNIFER MARKS TO PERFORM AT MEDIAPLAY IN ANN ARBOR, MI.!!! Jennifer Marks will appear at an In-store performance and signing at MediaPlay in Ann Arbor, MI. on September 10th @ 5:00 p.m. MediaPlay is located at 2865 Oak Valley Drive in Ann Arbor. For more info, please call MediaPlay at 734-213-2131. JENNIFER MARKS TO PERFORM AT VIRGIN MEGA STORE IN TEMPE!!! Be sure to catch Jennifer Marks at an in-store performance and signing at the Virgin Mega Store in Tempe, Az., July 30th @ 5:00 p.m. The Virgin Mega Store is located at 5000 Arizona Mills Circle in Tempe, Az. Jennifer Marks "Live" Debuts on R&R's HOT AC Chart at #37 !!! 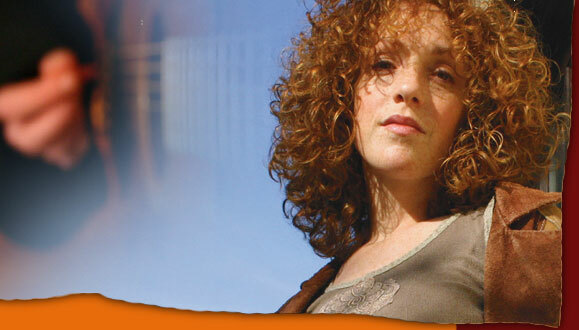 Jennifer Marks debut single "Live" debuted at #37 this week on R&R's Hot Adult Top 40 chart. With over 30 stations on board, a tour with Cyndi Lauper kicking off this week and marketing alignments with Dreamworks, Mattel, Jeep and Maybelline, Jennifer Marks is all over the map this summer. For more info and music, visit www.bardicrecords.com. Jenn to Appear Live on Chicagos WB Morning Show!!! Live flys again in Steven Spielberg's "The Terminal"
Jennifer Marks' first single Live has been chosen as the new trailer theme song for Steven Spielbergs latest movie, The Terminal. The movie starring Tom Hanks and Catherine Zeta-Jones hit theatres last Friday, June 18th, to excellent reviews. Starting this week, all TV and radio advertisements will feature Live as the featured song for their trailers. The plot of The Terminal revolves around a stranded tourist (Hanks) stuck inside New Yorks JFK airport while his home country is at war. Jenns opening for CYNDI LAUPER!!! I am honored to announce that I will be spending much of my summer opening for Cyndi Lauper!!! I am so excited that I find myself squealing like a teenage girl in public places. Click here for tour dates. JENNIFER MARKS LIVE ON FOX 5 NEW YORK!!! Maybelline New York is including Live in the Monarch Entertainment Group's "Chicks With Attitude" (CWA) music project. The CD will be used as the main pillar of their brand relaunch and make-up line redesign. Rite Aid, Kroger, Albertsons and Longs are participating in the Maybelline NY/CWA promotional CD gift-with-purchase program. On June 2nd @ 8:45AM you can catch me singing 2 songs and being interviewed on the WB11 morning show. The new CD was included in ABC News/ News One's New Music Tuesday segment which aired May 4th. 118 domestic ABC affiliates and 38 international affiliates will air footage at various times during each stations newscast. For the month of May Barnes and Noble will have the CD in listening stations throughout the US. They will be playing the CD in their stores and from what I hear there may be a poster or two on their walls. I like them! I will be touring the US playing at a Barnes and Noble near you.